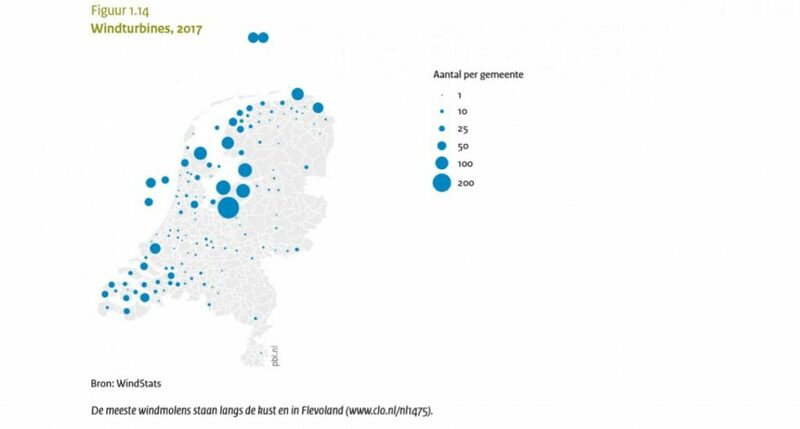 The Netherlands is the furthest from all European countries to the European agreed renewable energy target. This is one of the findings from the biennial evaluation of the Infrastructure and Space Monitor (MIR) in which the Structure Vision on Infrastructure and Space (SVIR) of the Ministry of the Interior and Kingdom Relations (BZK) is monitored. The Netherlands Environmental Assessment Agency (PBL) publishes the Infrastructure and Spatial Planning Monitor (MIR) in collaboration with the Netherlands Institute for Transport Policy Analysis (KiM), the Central Bureau for Statistics (CBS) and the Netherlands Cultural Heritage Agency (RCE). The Infrastructure and Space Monitor 2018 is the fourth report on the target range of the Structural Vision for Infrastructure and Space (SVIR). Many of the economic and mobility goals from this vision have been achieved, such as strengthening the competitiveness of urban regions, increasing the supply of infrastructure and the increased availability of the motorway network. Due to the tax incentives for the purchase of fuel-efficient cars, the emission of particulate matter and nitrogen oxides has been decreasing for years, while car use is increasing. CO2 emissions have risen slightly since 2015. 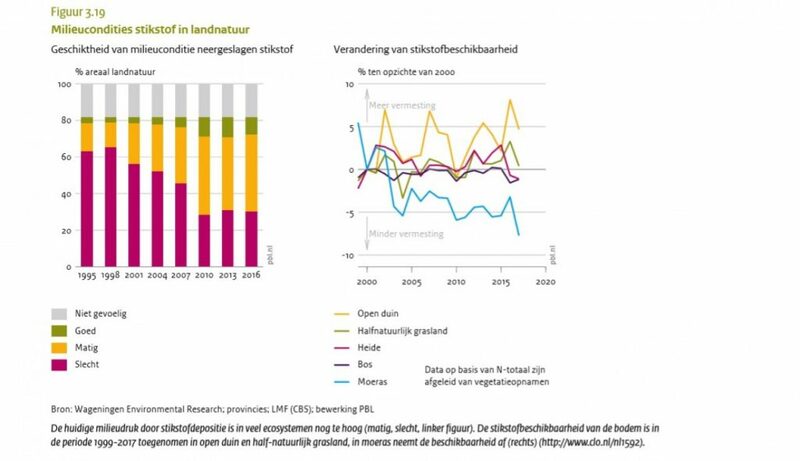 Many of the goals in the area of ​​sustainability, nature and water do not reach the Netherlands. An exception is the progress that has been made in the application of ‘the sustainable urbanization ladder’. This should prevent unnecessary development of open (nature) areas. The sustainable urbanization ladder means that governments must explain in all urbanization plans the extent to which the planned urban development is necessary and whether it is possible to build in existing urban areas, for example by using available land through restructuring and transformation. If this is not possible, it must be described to what extent that need is met at locations where different means of transport are possible. This ladder is increasingly used in zoning plans. In the period 2012-2014, 72 percent of the zoning plans did not apply the ladder at all; in the period 2016-2018 this is only true in 6 percent of the zoning plans. In 2020, the Netherlands wants to use 14 percent renewable energy, which is laid down in the Energy Agreement. The MIR states that the Netherlands is still far from that goal. For example, many more windmills have to be added. The graph below shows the number of wind turbines per municipality. An important reason for the decline of rare species in ecosystems is too much nitrogen in the soil. The amount of nitrogen in the soil increases, among other things, by nitrogen deposition from the air. Two thirds of the nitrogen that falls on the soil consists of ammonia. This substance mainly comes from agriculture. Traffic and industry also provide increased nitrogen levels in the soil.